Sooooo I had a few sweet potatoes and I had some ginger and later I had some soup!!! I mean I never thought to put the two together and I am glad I did. It turned out very tasty. Why soup? Something different, something for the soul, and something I was able to eat pre and post my cardio workout. It was another quick and easy meal. 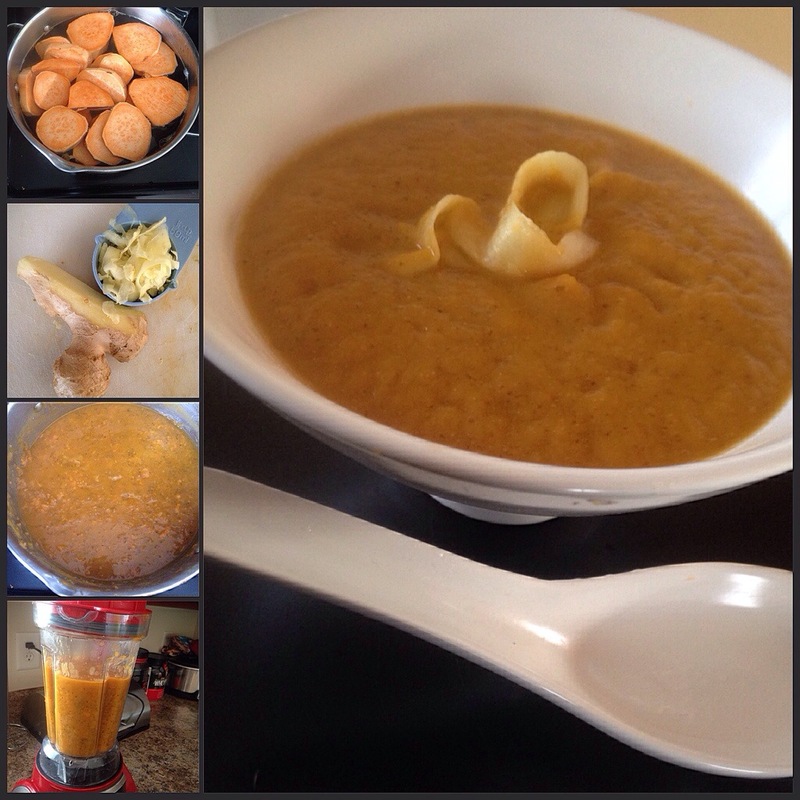 The key to any good soup at home is a good blender! I really love my Living Well blender ! I can make smoothies, soups, sauces, and more. I plan on making all my newborn’s baby food! I use to have the baby bullet for my first daughter but I used it so much it stopped working ! Oops! 1. Boil 3 cups of water. Add sweet potatoes and let boil until soft. 2. Using a peeler you can shred your ginger root. Shred enough for at least 1/4 cup worth. 3. Using a masher, mash sweet potatoes in pot. Add ginger. Stir. Add sugar and salt. Stir. 4. Transfer mixture to blender. Blend until smooth. The sweet potato should be smooth and somewhat thickened. 5. Eat hot! Enjoy !! !